He came to us with an idea. We thought we could turn it into a digital franchise based on a national obsession: America’s love affair with their cats. We saw something wonderful in Mr. Wynbrandt’s idea . . . and a way to make money from it. As a published non-fiction writer and journalist, Mr. Wynbrandt had already made efforts to see if a traditional publisher might be interested. He couldn’t even get an agent involved! 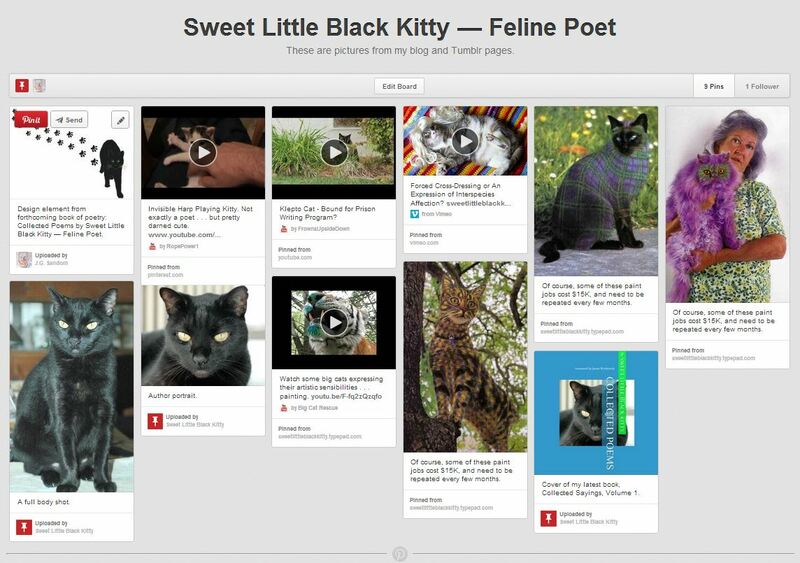 Instead, we encouraged him to turn Sweet Little Black Kitty’s poems (and his annotations to them) into a self-published work. 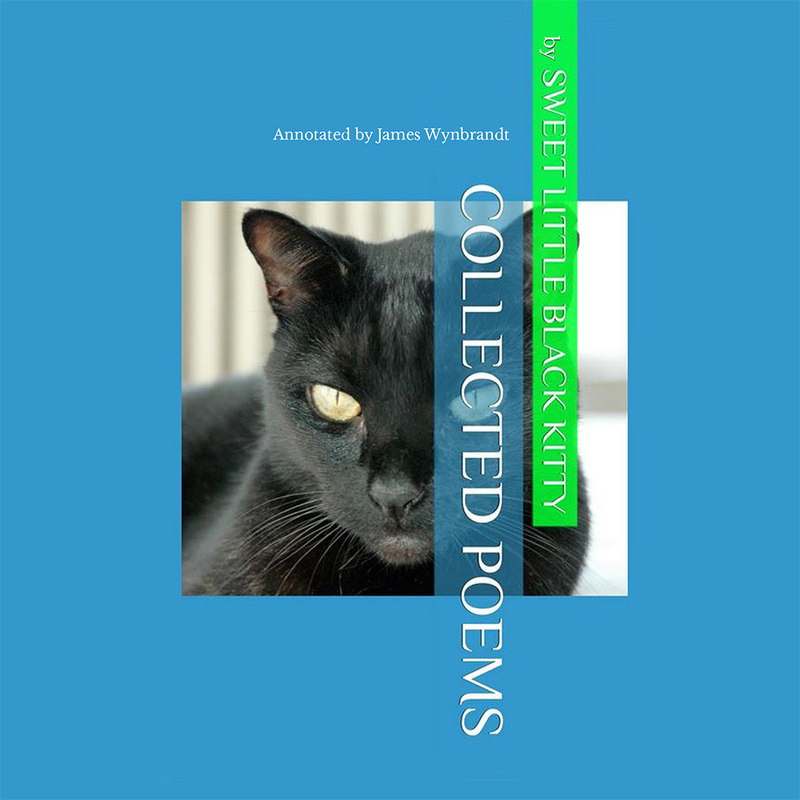 Sweet Little Black Kitty – Collected Poems will be available October 21, 2013. Here’s how we helped Mr. Wynbrandt get his concept off the ground. For those who require it, we provide clients with world-class editorial support, delivered by experienced professionals with decades in the publishing business, editors such as: Maureen Sullivan, former Executive Children’s Editor at Dutton/Penguin, and an expert in Young Adult and Children’s book publishing; and Allen Peacock, with senior editorial experience at Henry Holt & Company, Simon & Schuster, and The Dial Press. As a published author and professional journalist, in Mr. Wynbrandt’s case, only the minimum amount of proof-reading and other Editorial Support was required. Print/eBook Distribution, via Amazon exclusively, available worldwide. Since each book/eBook is created via just-in-time manufacturing, there is no production cost to Mr. Wynbrandt. Even when pricing the book aggressively to maximize sales, we’re able to generate royalties averaging around $2 per title! That’s more than double what you’d expect to generate from a traditional publisher . . . after earning back your advance, assuming you got one! In an average year, American cat owners spend $2.15 billion on cat food and $295 million on kitty litter alone. It costs $7,000 to care for one household cat over its lifetime. Cat owners are willing to spend. So, why not on Sweet Little Black Kitty merchandising? Once again, we designed and created an offering without any associated production cost. Mr. Wynbrandt only paid for the time it took for us to set up his eCommerce offering @ Cafe Press. Cost of designing and producing Cafe Press storefront: $1-2K+, depending upon the complexity of the store and number of products. Mr. Wynbrandt had already developed specific brand attributes (iconoclastic, irreverant, aloof, “beatnik”) for Sweet Little Black Kitty, based largely on SLBK’s history and personal story. 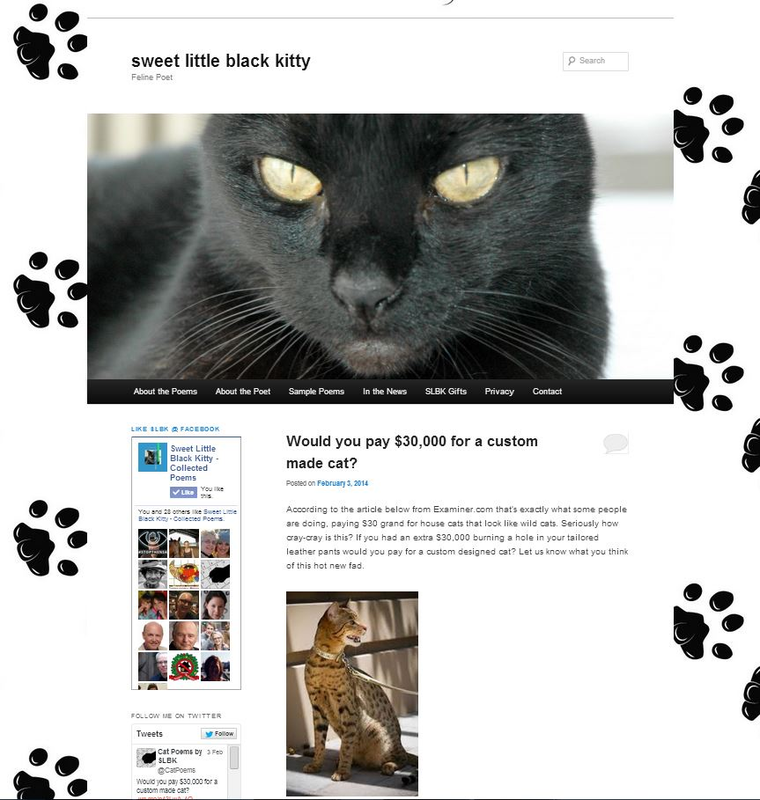 Now, we needed to extend that offline brand and create its digital persona — the Sweet Little Black Kitty cyberbrand. Not just pushing SLBK’s book and merchandise, but a constantly evolving collection of interesting and primarily humorous news stories and features on cats and interspecies communication; i.e. a reason to come back again and again to the SLBK cyberbrand . . . and to buy something! Plus, these digital assets are designed with non-proprietary software so that — if he so chooses — Mr. Wynbrandt can maintain and update SLBK’s Net presence himself, with minimal effort. Each digital presence works synergistically. For a small monthly retainer (< $250/mo), Mr. Wynbrandt has opted to have Cornucopia Press maintain his website, Facebook/Pinterest/Tumblr page and Twitter feed. Our staff scours the Web regularly and adds relevant news stories plus features about interspecies communication to the site every few days. And it’s our headache to make sure the eCommerce engines keep humming. We worry so Mr. Wynbrandt doesn’t have to. Of course, building a Net presence isn’t enough. Simply because you build it doesn’t necessarily mean they will come. 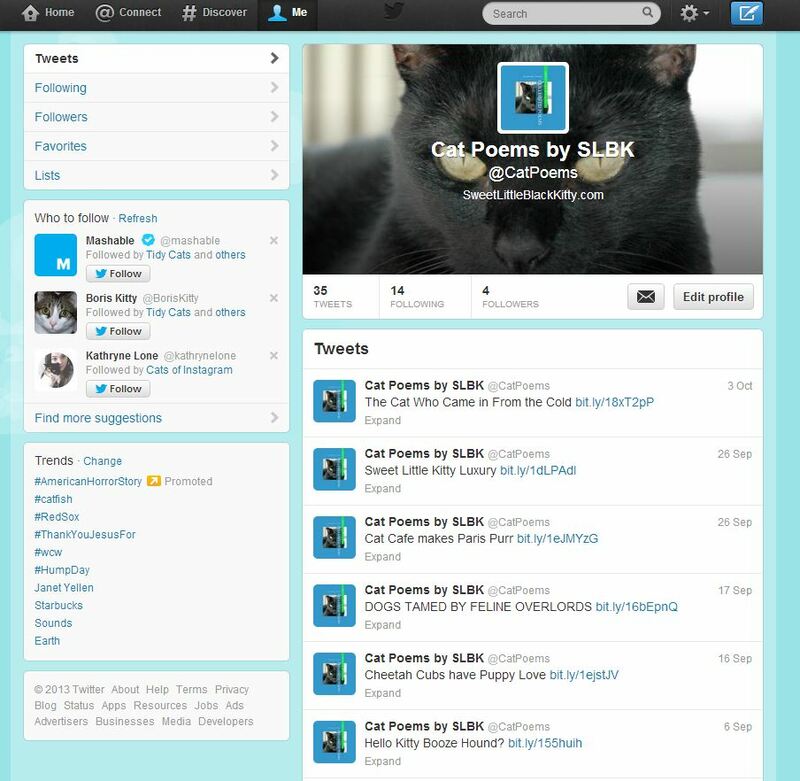 We made the SLBK site searchable, and purchased key words — such as “Interspecies communication”, and “cat poetry” — on the major search engines. Local press coverage in St. Augustine, FL. For a minimal investment of around $5K, we helped Mr. Wynbrandt build a digital franchise that’s generating tens of thousands of dollars per year . . . all built on a simple idea, based on a national obsession.